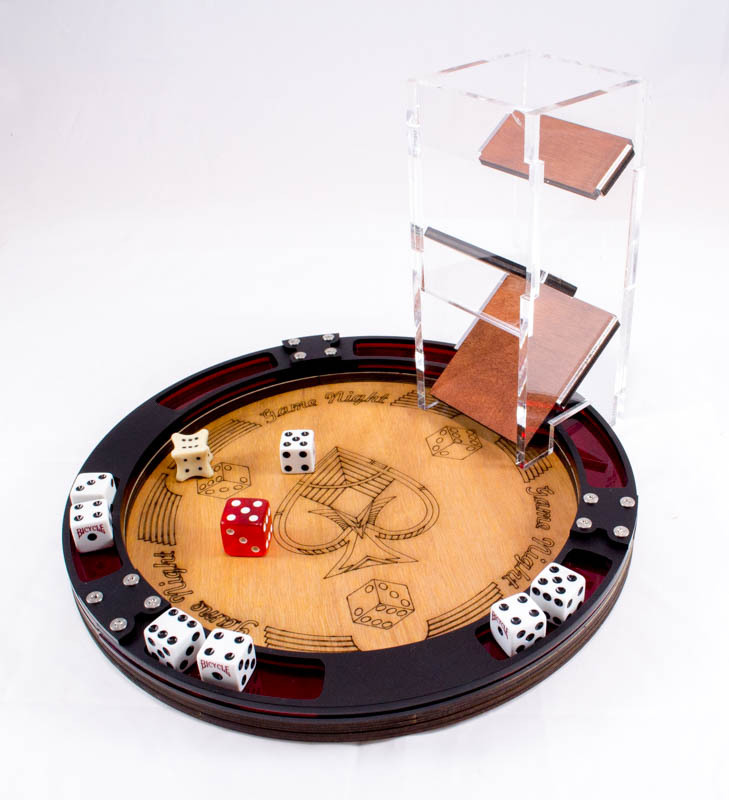 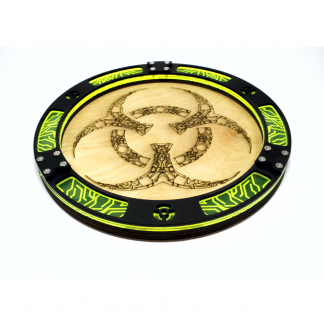 Acrylic and wood base dice tray with custom laser etched ace of spades design. 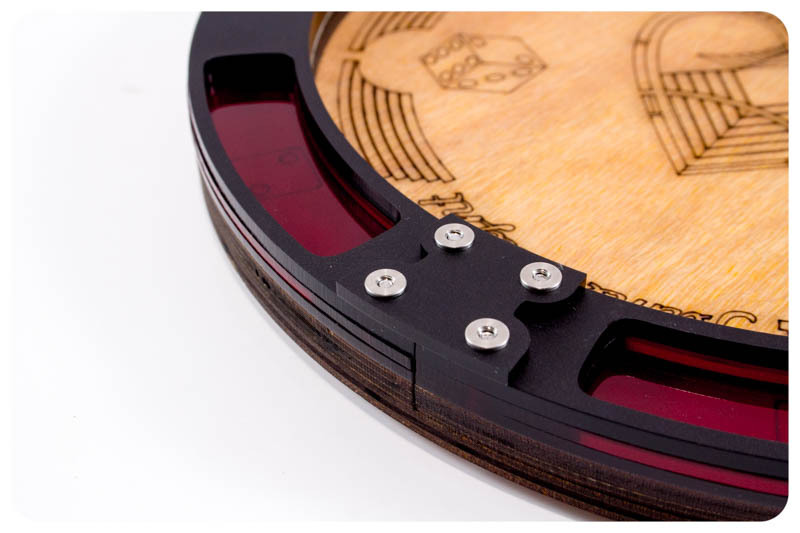 Constructed with layers of matte black and red acrylic. 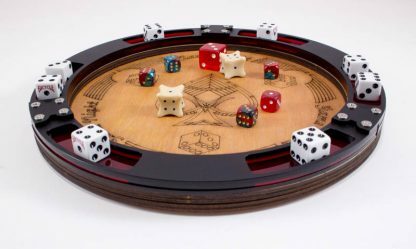 Bring out our handsome Game Night Dice Tray and make some great memories with family and friends! 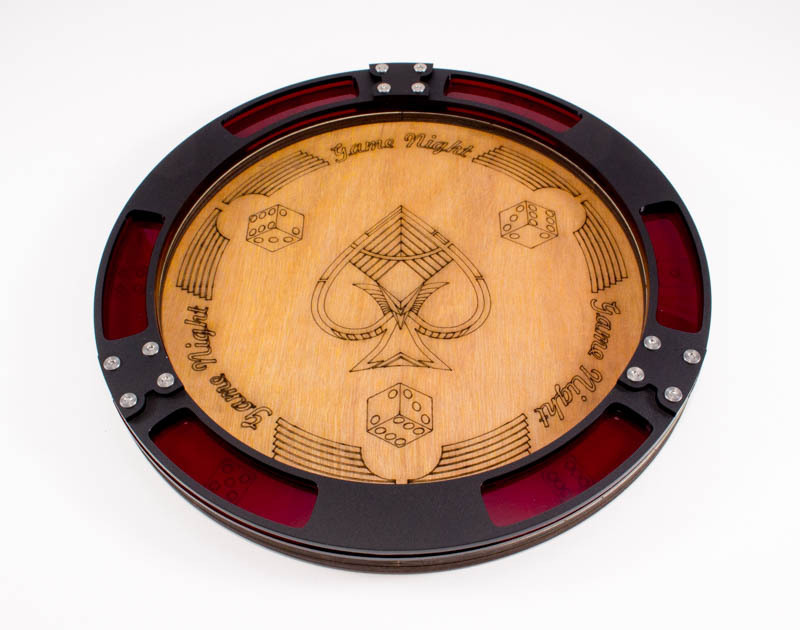 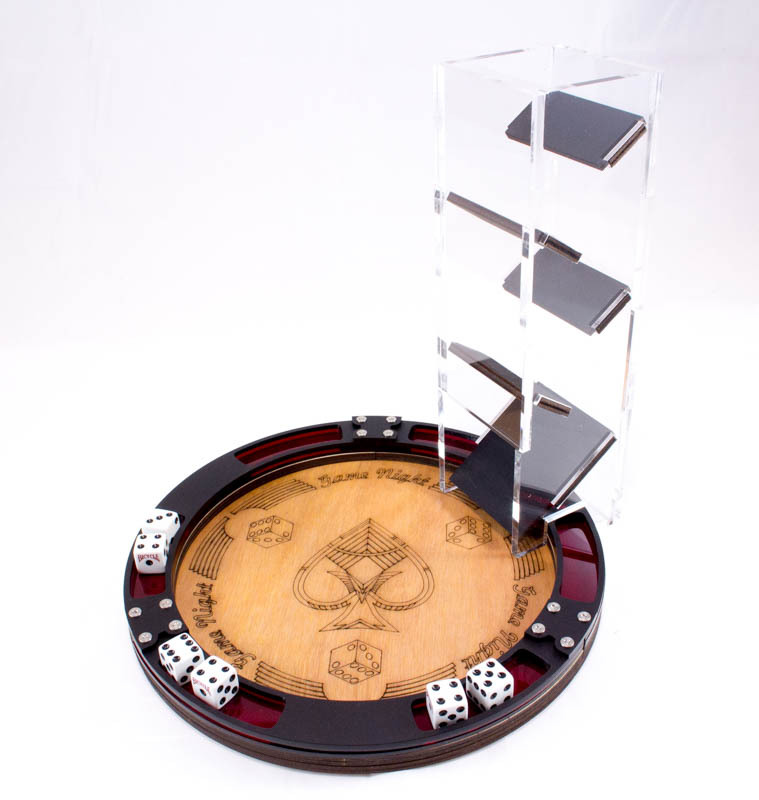 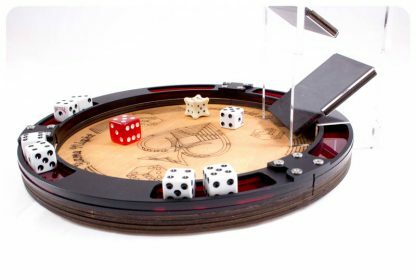 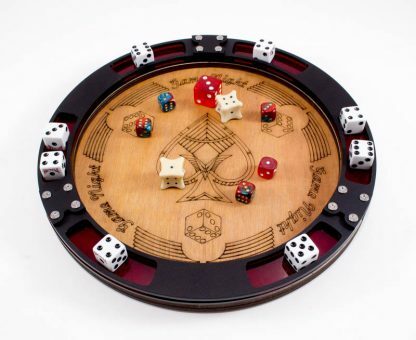 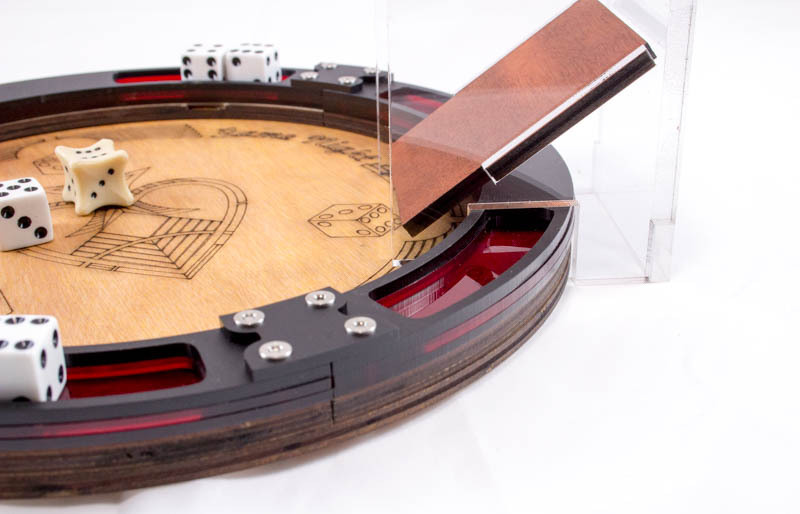 Designed with the idea of traditional games on warm nights together, our newest dice tray sports an ornate Ace of Spades etched wood base, framed by a rich red acrylic and subtle matte black border. 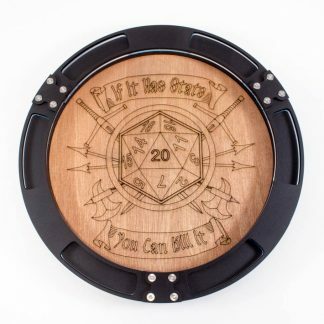 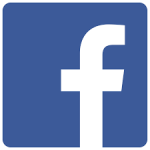 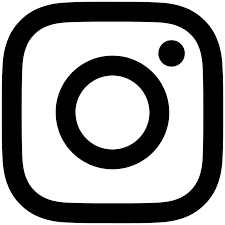 Add flair to your fun.